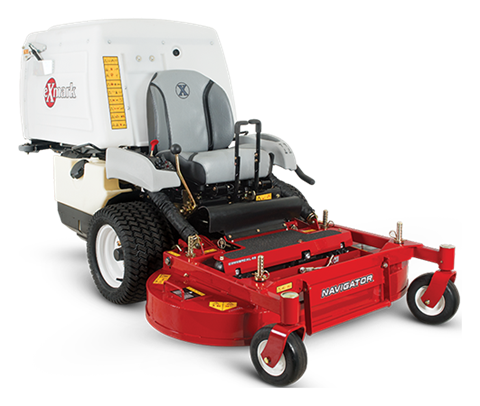 2019 Exmark Navigator Zero Turn Mower Kohler 48 in. Nothing is perfect. But a lawn maintained with an Exmark Navigator professional-grade 42 or 48 inch zero-turn mower may be as close as it gets. That’s thanks, in large part, to its patented fill-reduction. 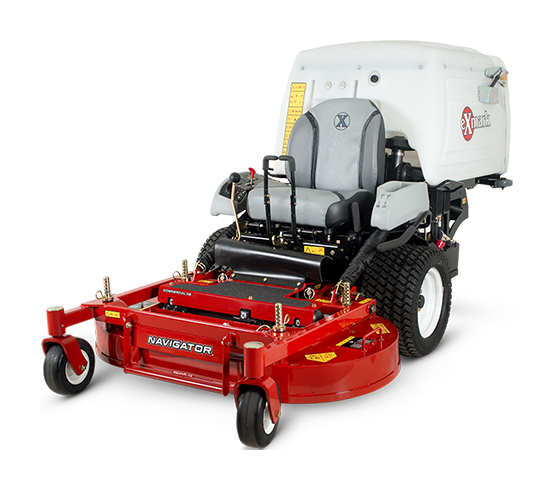 Combined with a larger diameter blower, the Navigator generates more airflow for better vacuuming and debris collection. And this year’s model is perfectly suited for any pro who wants even more controllability, responsiveness and less hand force. 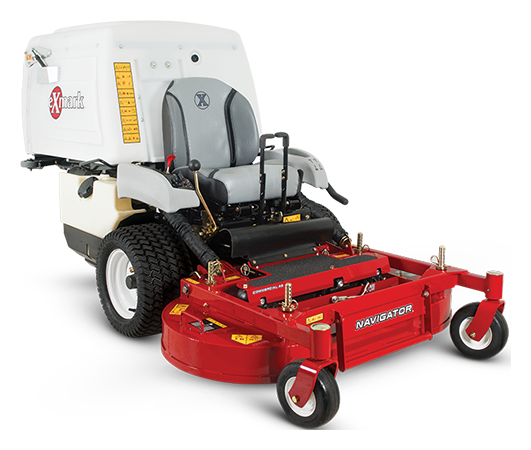 Another Navigator signature trait is the higher blade tip speed for slicing grass into finer particles. 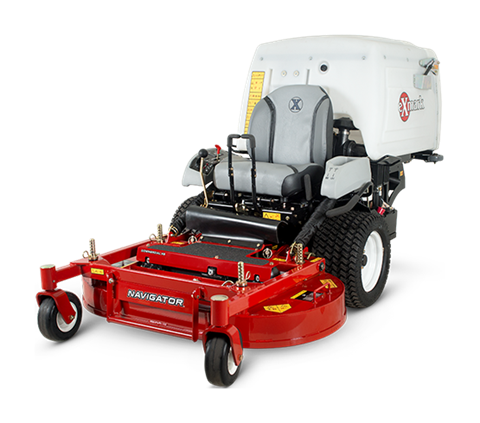 Then, its center-discharge deck designed with two-sided trimming lets the operator accurately control discharge, keeping flower beds and walkways clipping-free. And the Navigator does all this at speeds up to 7 mph. 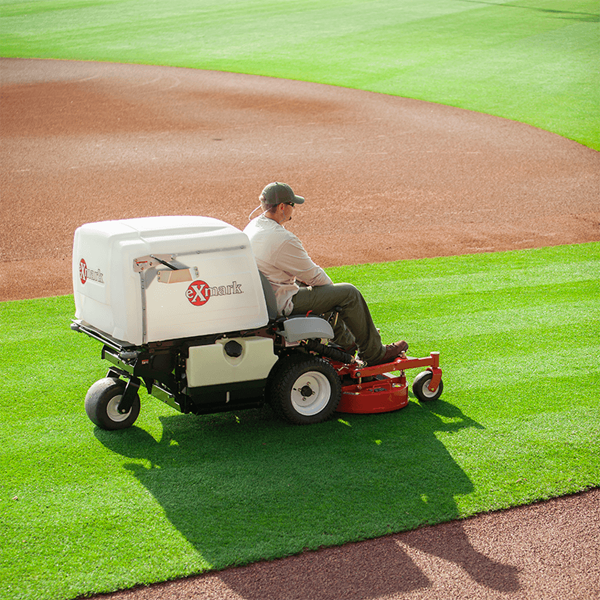 So, you can Navigate a virtually perfect lawn in no time. MORE CAPACITY, MORE PRODUCTIVITY: The optional powered dump attachment system means less time emptying and more time mowing. An exclusive baffle design fills, evenly back to front, for maximum efficiency. 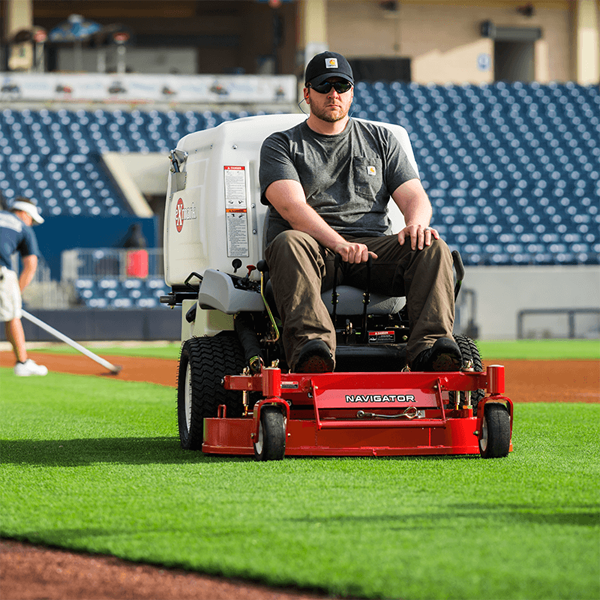 EASY TO MAINTAIN: Landscape professionals can spend more time mowing and less time maintaining their equipment. FILL REDUCTION: The Navigator’s patented fill-reduction system lets you bag 100%, bag 33% and mulch 67% or mulch 100%. All with its versatile cutting deck and baffle system. “FEATHERTOUCH” CONTROLS: As the name implies, you don’t have to muscle the Navigator around. Its FeatherTouch controls make maneuvering tight spots virtually effortless.